Whether you want a sign that can help you with aesthetics, advertising, or even help save you money, Genesis Signs & Graphics creates attractive awning signs that can do just that for you. 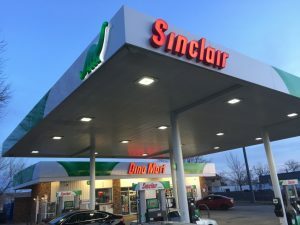 We have been in the sign-making business for many years and our experience tells us that awning signs are not just an expense, they’re an investment. 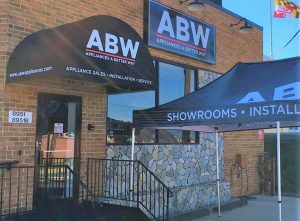 And with a reliable signs provider like Genesis Signs & Graphics, your awning sign might just pay for itself with all the sales and savings brings in. Call Genesis Signs & Graphics today at (347) 709-7446 for your Free Consultation! With your storefront sign mounted to a building, you have the perfect avenue for giving your brand as much attention and exposure as possible. Genesis Signs & Graphics does not only craft and install signs, we design them as well. We can assure you that the sign on your building will be pleasing to the eye and will give customers a cohesive branding experience. 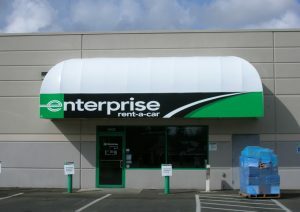 Think of your awning signs as fabric and vinyl canvases for your brand art. With the space that you have at the front of your sign as well as on it sides, you have with you a 24/7 advertising billboard. Genesis Signs & Graphics creates awning signs that help make your business visual and visible, and helps increase foot traffic to your facility. 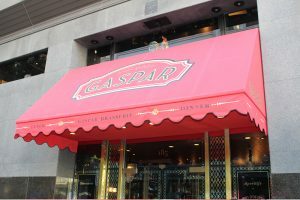 At Genesis Signs & Graphics, we accommodate customization requests so if you need to make your awning sign more utilitarian, we’re here to help. One option that you can go with is to install back lights to your awning sign so it gives your space a more professional look. Genesis Signs & Graphics also installs retractable awning signs so that, during the winter, you can get solar gain in and fight the cold weather. Our team of signage experts help you make the most out of your awning signs, and ensure that they are built to last in all weather. Having spent years in the sign industry, we know that the bulk of the cost for awning signs fall on the installation. Genesis Signs & Graphics and its team of graphic artists, engineers, marketing experts, and maintenance crew can help you get the most awning sign service for the most reasonable price. Awning signs have so many hidden benefits and Genesis Signs & Graphics can help you discover them! 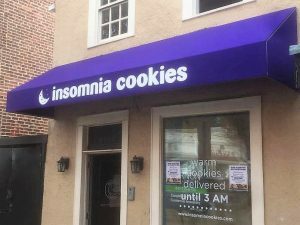 From reducing your energy bills to providing a cozy spot for a customer to escape bad weather, awning signs are an attractive addition to many different business storefronts. Call Genesis Signs & Graphics today at (347) 709-7446 for your Free Consultation with an Awning Signs Expert! Choosing this company was well worth it!! Quick turnaround and terrific customer service.